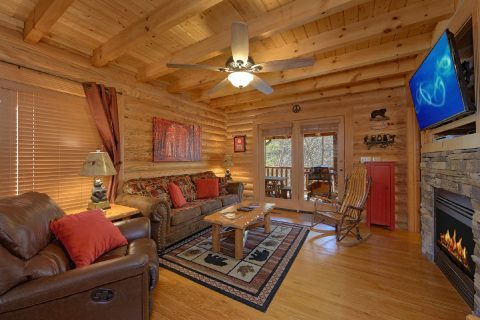 Book your very own cabin in the Smoky Mountain Ridge Resort area! 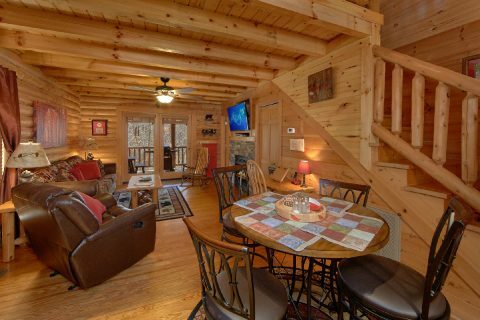 "Creekside Hideaway," is a two bedroom cabin that's perfect for couples visiting the Smoky Mountains. 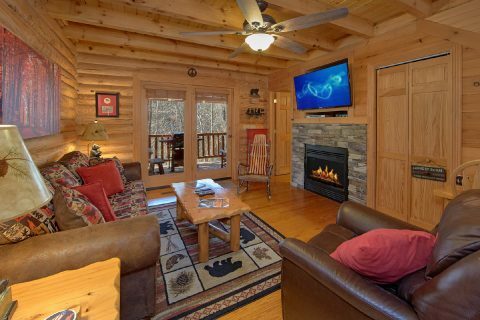 With a hot tub, jacuzzi tub, stacked-stone fireplace, resort pool access, and a game room, this cozy rental has everything you could want on a romantic getaway to the mountains. 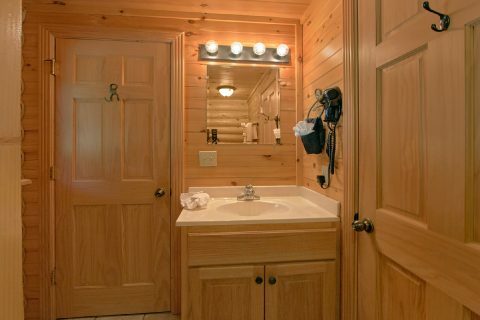 Better yet, this luxury log cabin boasts a terrific spot on the water. 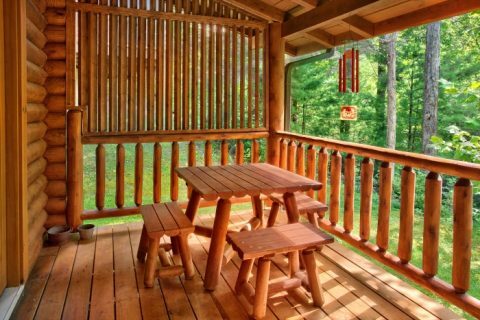 This cabin rental's covered back deck is just the right place to sit back and let the sounds of rushing waters carry your worries away. 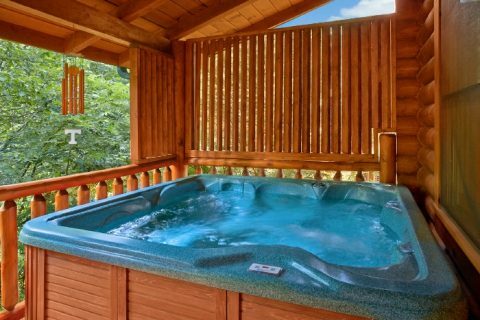 Simply sit back in this rental's hot tub and unwind while you take in the sights and sounds of nature. 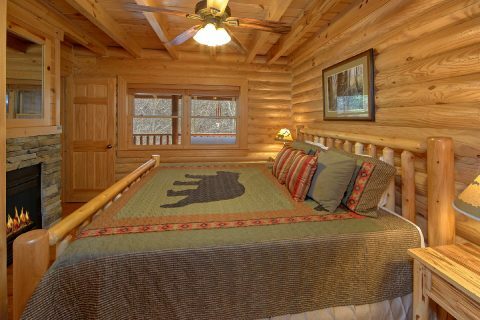 When you aren't enjoying romantic moments in your cabin, you'll love exploring the best attractions the Smokies can offer. 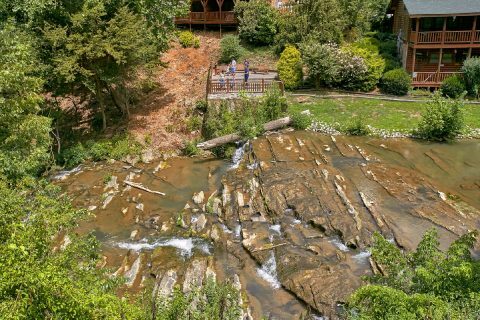 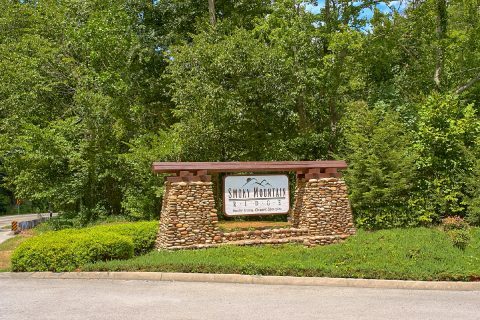 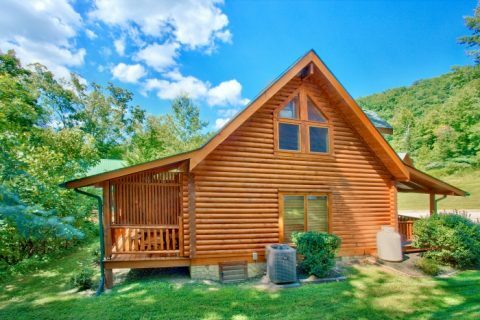 This rental located along Wears Valley road offers quick access to Downtown Pigeon Forge. 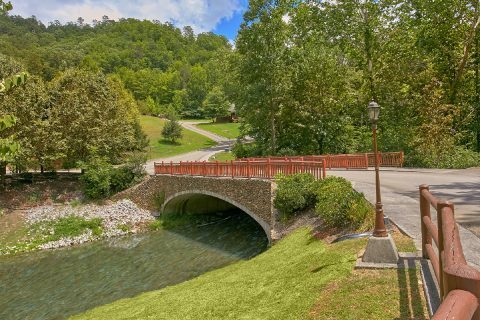 To explore the beauty of the national park, guests can take a lovely drive on country back roads to the Metcalf Bottoms park entrance. 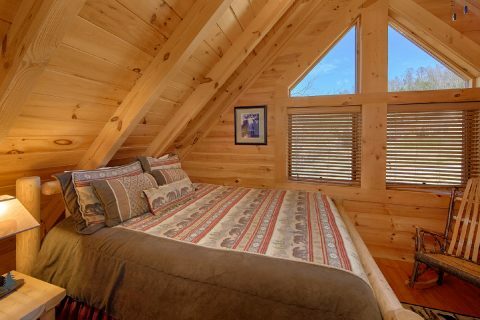 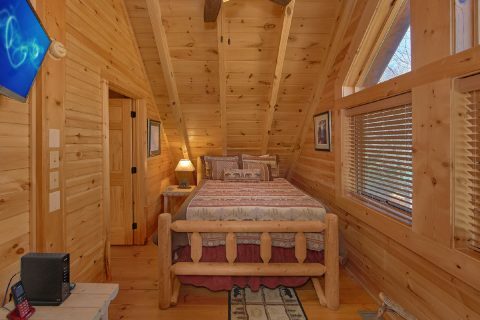 After a long day hiking trails or riding roller coasters at Dollywood, you and your sweetheart will love returning to this premium cabin to relax and rest. 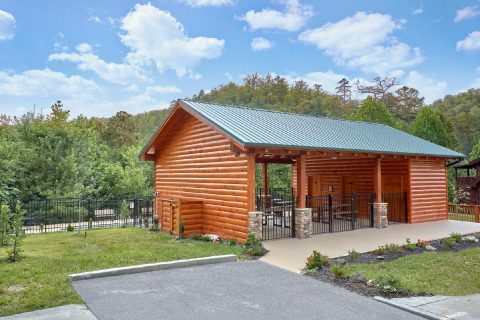 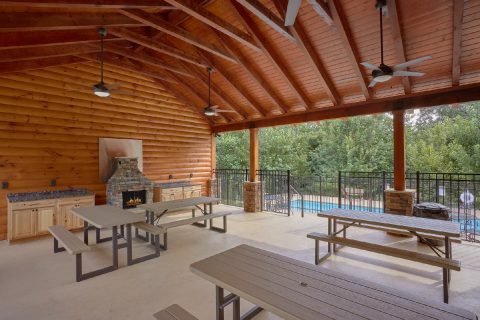 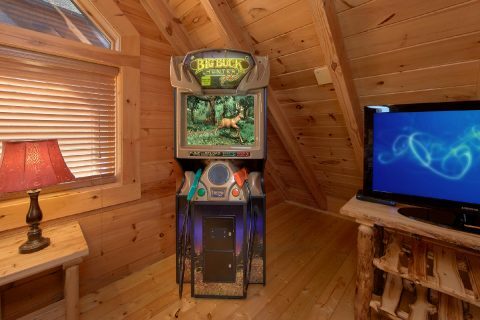 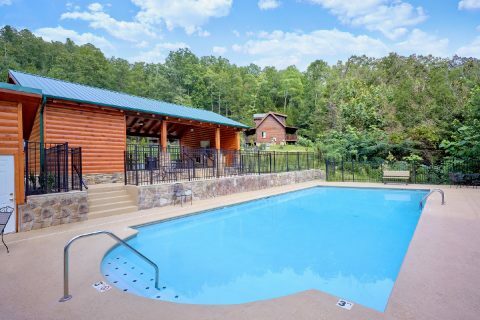 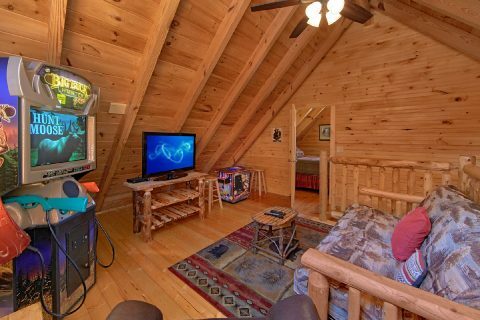 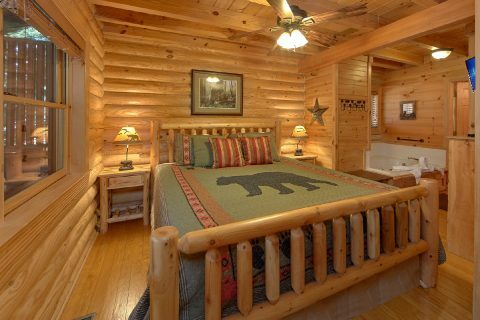 Whether you go for a swim at the resort pool, take a soak in the hot tub, or play fun arcade games in the game room, the fun doesn't stop when you return to this premium log cabin! 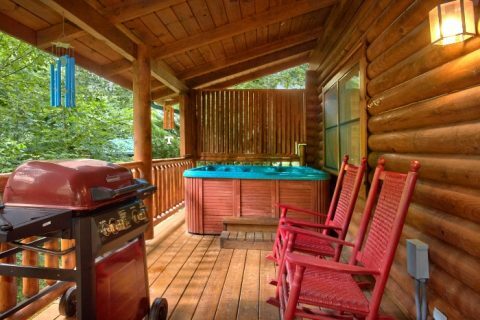 This honeymoon cabin in the Smokies comes complete with 1 king-size master suite that boasts a jacuzzi tub, stacked-stone fireplace, and full bathroom. 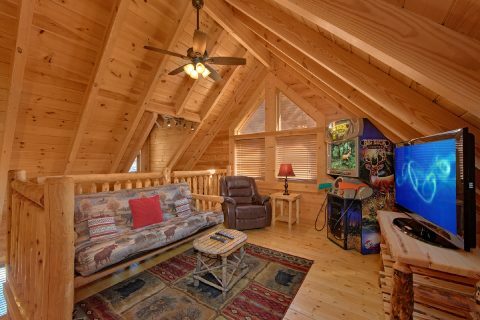 For a small family vacation, this cabin can sleep up to 7 guests thanks to a queen sleeper sofa in the living area and a queen-size futon and a queen bedroom in the loft. 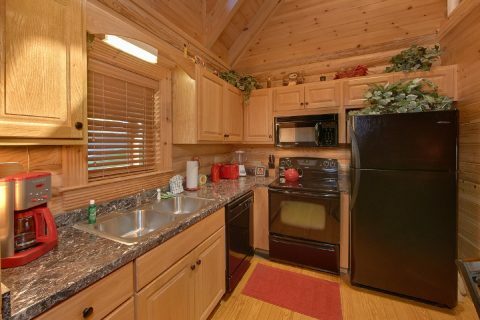 For making tasty meals in your cabin, "Creekside Hideaway" boasts a full kitchen and a dining area with seating for 4. 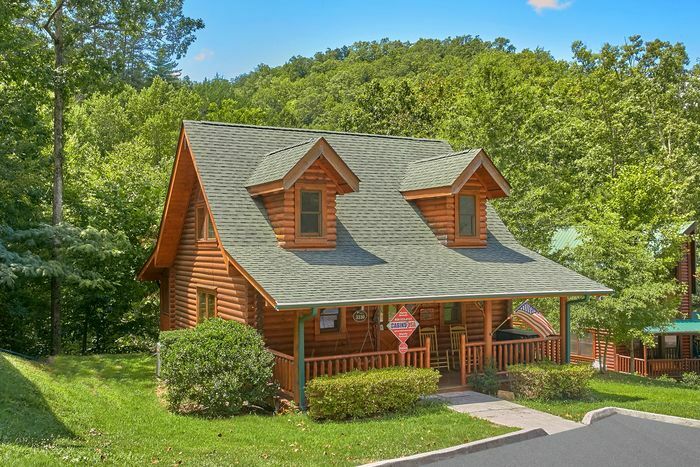 This rental also comes complete with a gas grill and a picnic table on the back porch that's perfect for eating in the great outdoors. 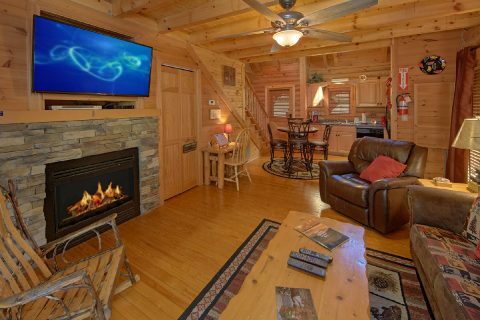 After dinner, retire to the main living area complete with comfortable furniture, a stacked-stone gas fireplace, and a flat-screen television above the mantel for watching your favorite movies and shows. 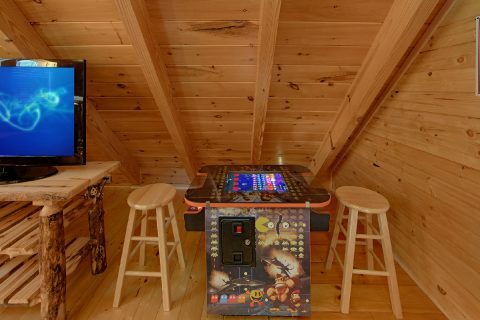 You'll find even more entertainment in the upstairs game room with a sit-down arcade, a standup arcade game, and a flat-screen television. 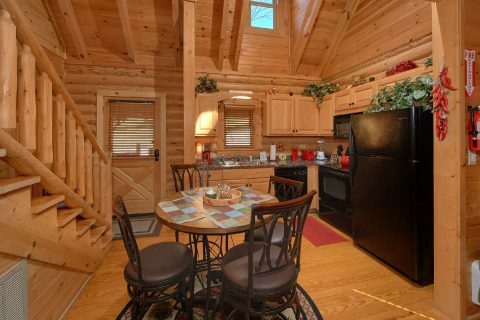 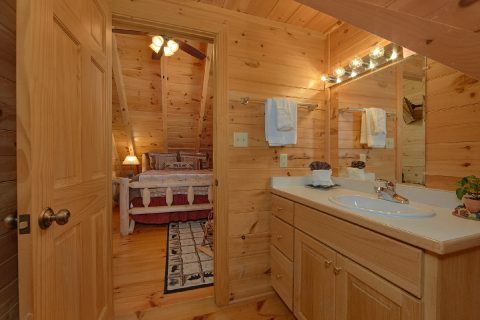 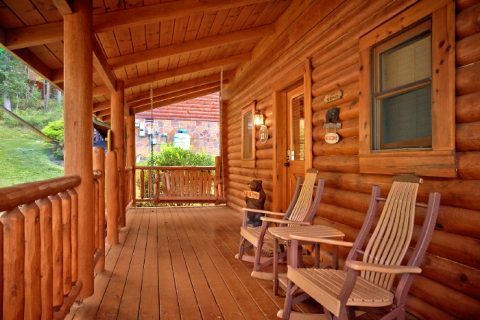 Additionally, this log cabin boasts WiFI Internet access and a washer & dryer for your convenience. 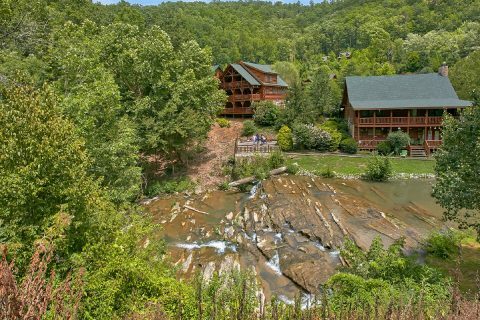 Book "Creekside Hideaway" today for your honeymoon or family vacation today to save 15% on your nightly rate! 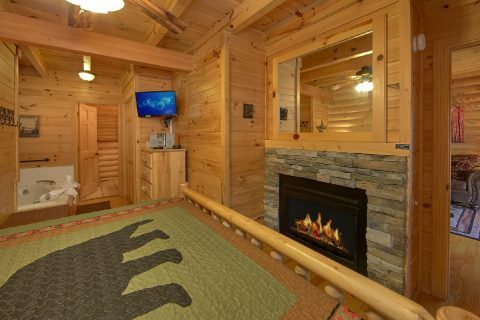 Stay with Cabins USA Gatlinburg and save on your Smoky Mountain vacations today!